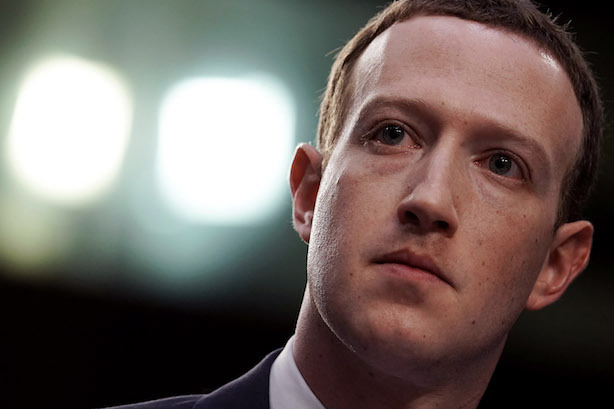 But the Facebook CEO faces more questions from Congress today. Mark Zuckerberg has received mostly positive reviews in the media for his performance on Capitol Hill on Tuesday. Investors also approved. Facebook’s share price was up nearly 5% by the close of trading yesterday (Bloomberg) despite members of both parties raising the possibility of regulation (Politico). Getting less impressive media coverage this morning is Congress, with Senators being excoriated in the press for not understanding the basics of how Facebook works (The Atlantic). The media consensus is that senators failed to land a glove on Zuckerberg (CNN), who was prepared for questions about whether he should resign, according to photos of his notes. But...Today’s House testimony, starting at 10 a.m. EST, could be different because members of the House of Representatives are often younger, more tech savvy, and ambitious to make a name for themselves than members of the upper chamber (Politico’s Anna Palmer). This is new for White House communications. President Donald Trump responded to Russian warnings that missiles aimed at Syrian forces could be shot down by tweeting, "Get ready Russia because they will be coming, nice and new and "smart!" (Bloomberg). Two more advertisers have walked away from Laura Ingraham’s show on Fox News. Blue Apron tweeted that it was unaware that its spots were still running on the program and vowed to work more closely with media buying partners (The Hill). SlimFast also said on Tuesday that it will stop advertising on The Ingraham Angle (HuffPost). We have stopped advertising on the Laura Ingraham show and have no plans to resume in the near future. We are also monitoring all ad placements carefully.